This is no slap-a-premade-neck-on-a-box-and-call-it-done cigar box building class. 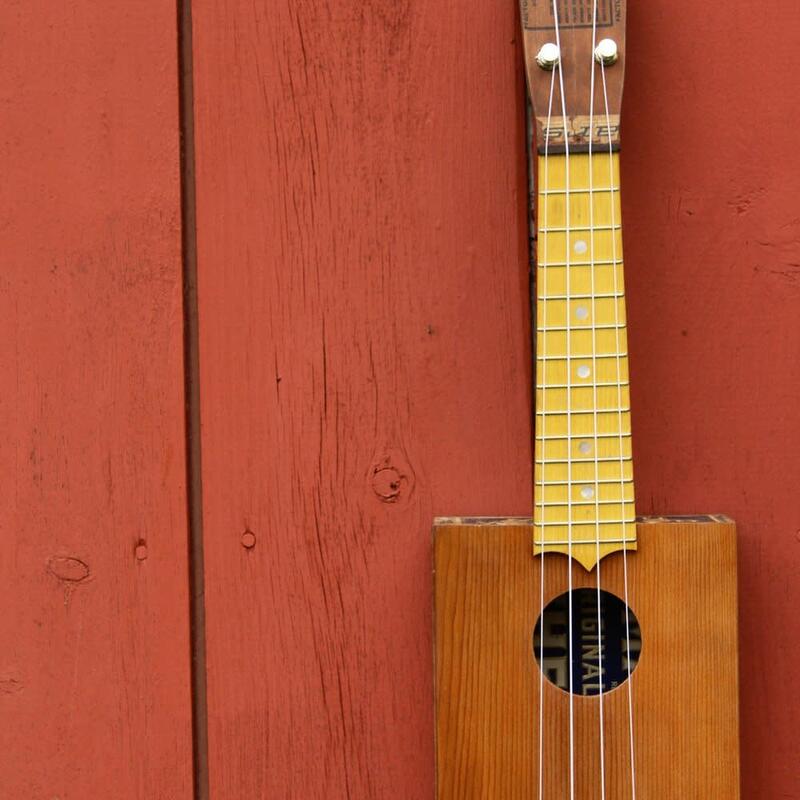 In this two day class you will build a funky and colorful cigar box ukulele from the ground up. 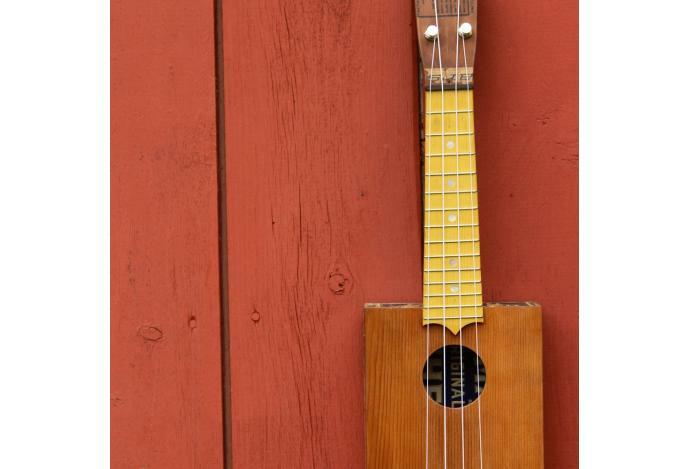 Students will carve a neck, fret a fingerboard, brace a top and set-up a uke that is unique to their chosen cigar box. This is planned as a two day class, but an extra day will be provided in the event that it is needed. You may provide your own cigar box. For $25 you may choose a vintage box from my collection. Our local cigar store has a huge selection of modern boxes for $1-2 each. I recommend boxes about 8-9"l x 5-7"w x 2-3"d. Sizes of boxes are irregular. If you are not sure that your box will work, send the dimensions and I'll do the math. 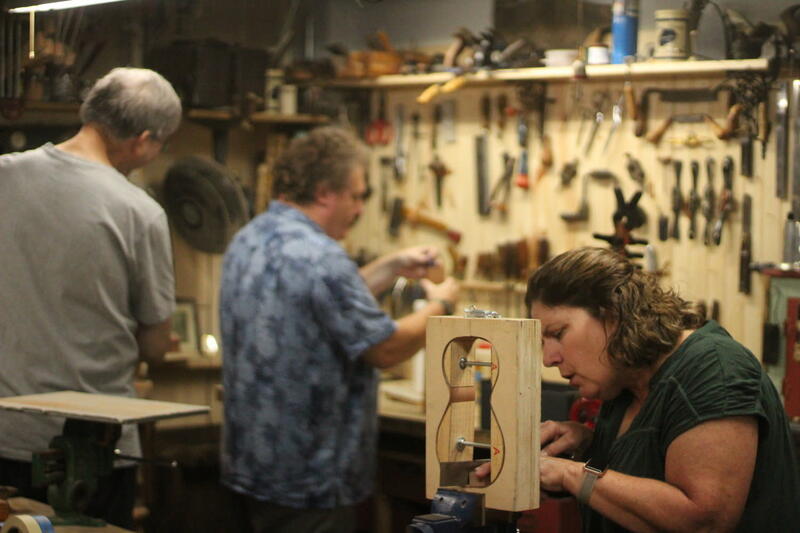 The Workshops of G.B. 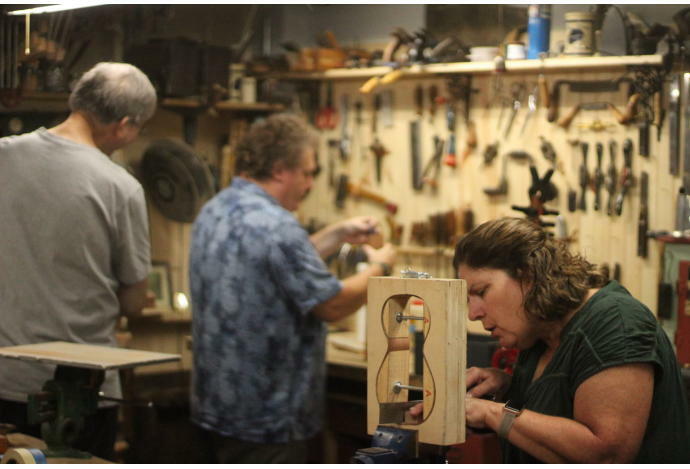 Davis take place in the basement of Caravan Classes at 92 S. 9th street where G.B. Davis' studio is located. Looking for a retreat experience? We partner with Prairie Guest House.